Service Extension Units are volunteer branches of The Salvation Army in communities throughout the division where corps offices are not located. The goal is to provide supportive assistance to people during crisis situations and to identify other community resources which are available to provide additional help. These units provide temporary emergency assistance based on a budget the local volunteers raise through community donations. We are here to help. Come on in! Walk-ins welcome! We work closely with other agencies including WellHelp, Oberlin Community Services and Jobs & Family Services and we are happy to give you helpful information. Computers: Computers are available for client use during business hours to access benefits and programs such as OhioMeansJobs, Unemployment benefits, and the Ohio Benefit Bank and to file taxes on the Ohio Benefit self-serve site. Counselors: Ohio Benefit Bank (OBB): We have trained Ohio Benefit Bank counselors to assist with benefit sign-ups. We can help file your application electronically and Jobs & Family Services usually gets back to you within 3 days with an appointment. Benefits You Can Apply For: SNAP benefits; medical and cash assistance; Home Energy Assistance Programs (HEAP); Voter Registration; Golden Buckeye Program; Veterans Assistance, etc. You may also be able to receive assistance with paying bills, or lowering your prescription drug costs. Seasonal: Camp NEOSA: Camp NEOSA is a ministry of The Salvation Army. Our camp is located on over 200 forested acres on a peninsula of Leesville Lake in Carrolton. Our mission is to preach the gospel of Jesus Christ and to provide a great camp experience to over 1300 children every summer, ages 6-12. Campers are often under-privileged children from surrounding communities. Scholarships are paid for by donations so there is no cost to the family. Camp NEOSA is a 5-night/6-day experience for The Salvation Army to witness to children and explain how God loves them today, tomorrow, and forever. During the camping session, their involvement in positive activities strengthens their self-esteem, their abilities to interact well/respect others, and creates awareness of new opportunities and choices for their lives. Seasonal: Angel Tree Program: The Salvation Army’s Angel Tree program provides new clothing or toys for children of needy families through the support of donors. Found in local companies and corporations, Angel Trees are decorated with numbered paper angel tags with the first name, age and gender of a child in need of presents. Contributors remove one or more tags from the tree and purchase appropriate gifts for the child or children described on the tags. We take applications during the first two weeks of November for those seeking assistance from the Angel Tree Program. The Salvation Army is a non-profit organization wholly funded by private and public donations. Your gift, of any amount, is needed to support our important community programs. 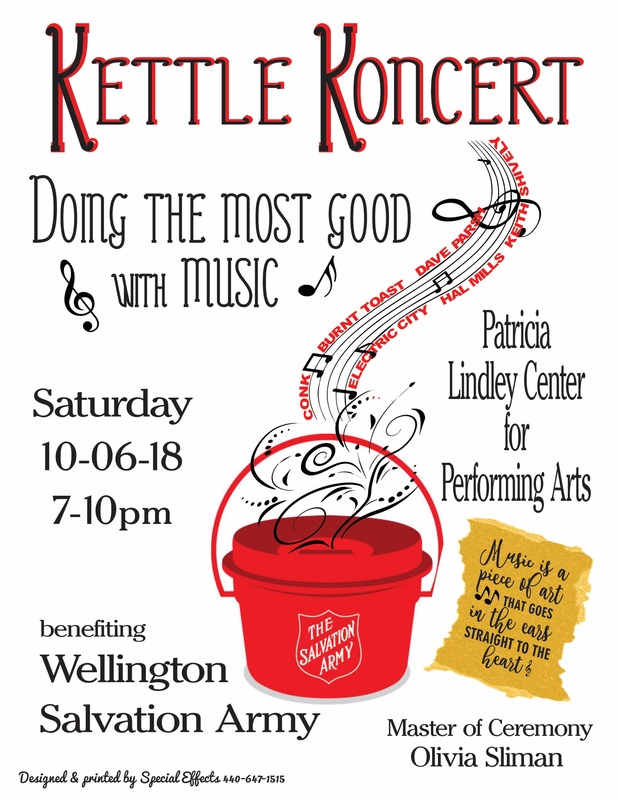 Please take this opportunity to make a donation now to help those in Wellington who are in need. Your gift is tax-deductible to the extent provided by law. Large Donations: If you require a pick-up for furniture, automobiles, large household goods and appliances, please visit https://satruck.org/ to schedule a pickup. Planned Giving: For more information, please contact Michael Freeman, Estate and Planned Gifts Director, by phone at 1-866-364-6446, by email at Michael.Freeman@use.SalvationArmy.org or visit the Planned Giving webpage. We meet on the last Tuesday of each month at the office at 8:30 a.m. We are open to ideas and suggestions and are happy to welcome you. Volunteer opportunities are available. Contact our office for more information on current needs.